This cream contains Shea Butter, Aloe & Vitamin E. Aloe has long been considered to be a premier product for moisturizing and healing the skin while Shea Butter and Aloe helps aid dry skin. 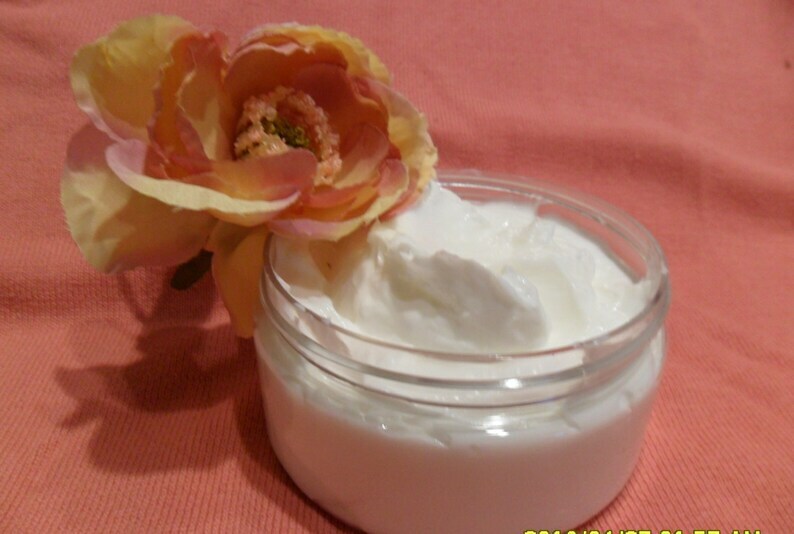 This product is MINERAL OIL AND PARABEN FREE. .
Shea Butter and Aloe provides skin with and all the nutrients necessary to moisturize and deeply penetrate all types of skin types. Aloe known for its healing properties will help heal old scars, and skin imperfections. The addition of fragrance oil will make the consistency of the base thinner. Shipped in Clear Double Walled Jar with White Dome Top.